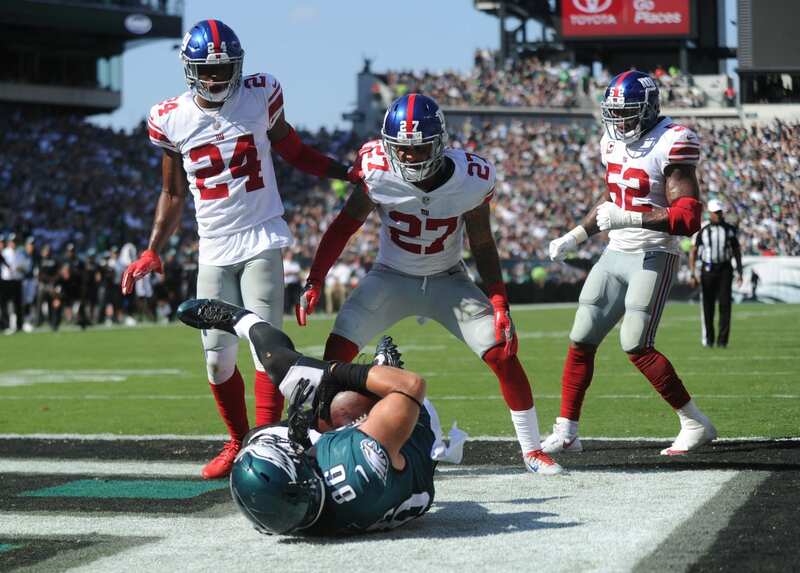 The New York Giants lack a true safety in the defensive backfield, and yes, I know Darian Thompson is still back there missing tackles and blowing coverage’s. Thompson was a third-round pick out of Boise State with WAY top high expectations entering the NFL. He missed virtually his entire rookie season due to injury, and returned looking like half of what we expected him to be. So, can we all agree that an upgrade is needed to solidify a defense that already has Janoris Jenkins, Landon Collins, Alec Ogletree, Damon Harrison, JPP, and Olivier Vernon? Adding a player like Mathieu to a defense with several Pro-Bowl caliber players is extremely enticing, and come to think of it, more than possible. How can they afford him? The biggest issue with signing Mathieu is the money, and we all know the Giants have none of that. In fact, after the Nate Solder, Kareem Martin, Patrick Omameh and Alec Ogletree signings, they probably have close to zero dollars left. But, by cutting players like Brandon Marshall, Dwayne Harris, Ray-Ray Armstrong, and maybe even John Jerry, they can add some much needed cap-relief. Lucky for the Giants, Mathieu isn’t after the money, he’s after a Super Bowl ring. New York is the big stage, and we are talking Giants here guys, not Jets. The Jets are have been designated New Jersey because, well, who the hell likes New Jersey? This is where Mathieu can shine, and with the new regime in the place, including his familiarity’s with defensive coordinator James Bettcher, it’s the perfect landing spot. Although the Giants may not be willing to give him top dollar, he can turn their defense into one of the league’s most feared units. Getty: Do whatever you need to do to sign the Honey Badger. Cut Marshall, Harris, Jerry and Armstrong. Restructure Eli’s contract and/or JPP’s contract if need be!